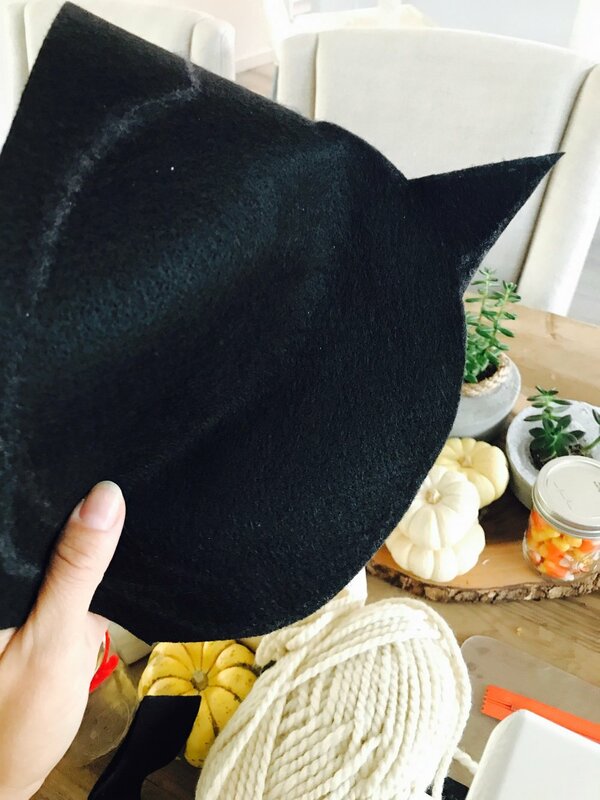 Tis the season for DIY! 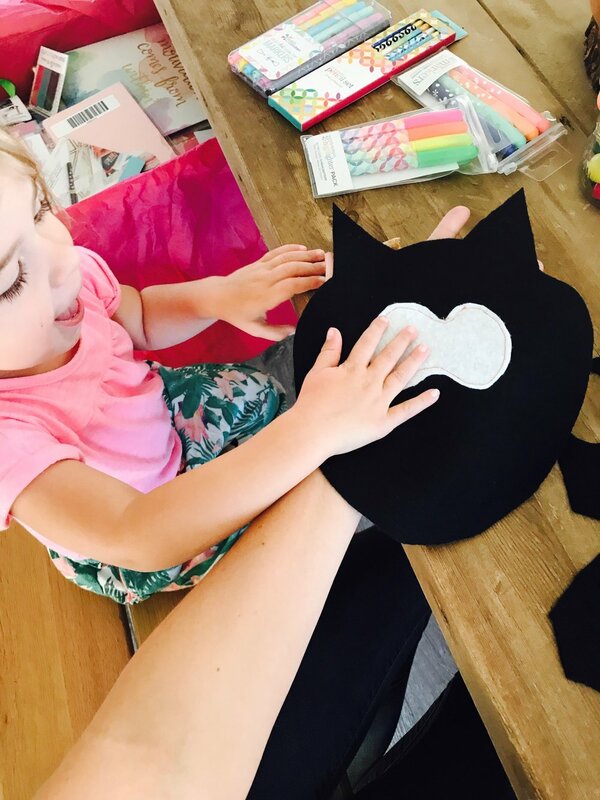 Grab some simple craft supplies -- mainly, felt -- and let's do this! 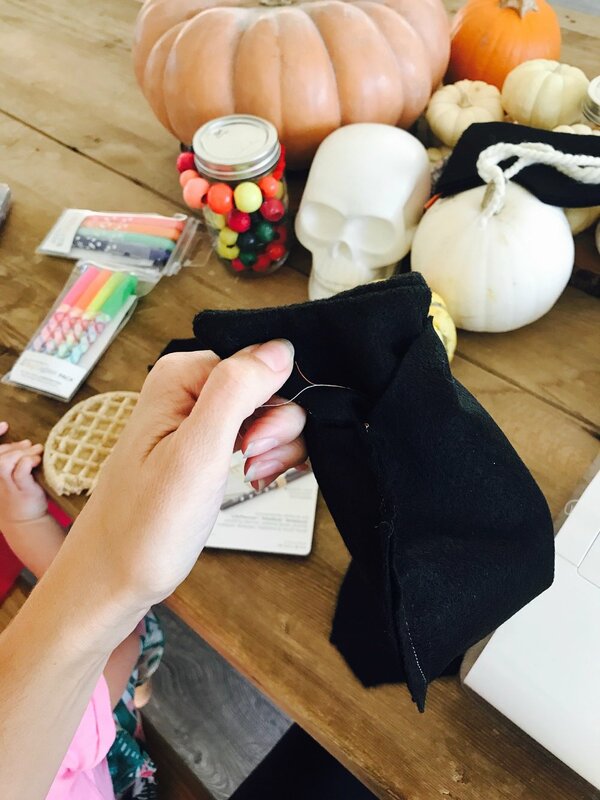 Of course, if you have a sewing machine and VERY BASIC sewing skills, this DIY project just got faster and easier! But no worries, you can totally hand stitch this, it will just take a bit more time! CREATE YOUR PATTERN. 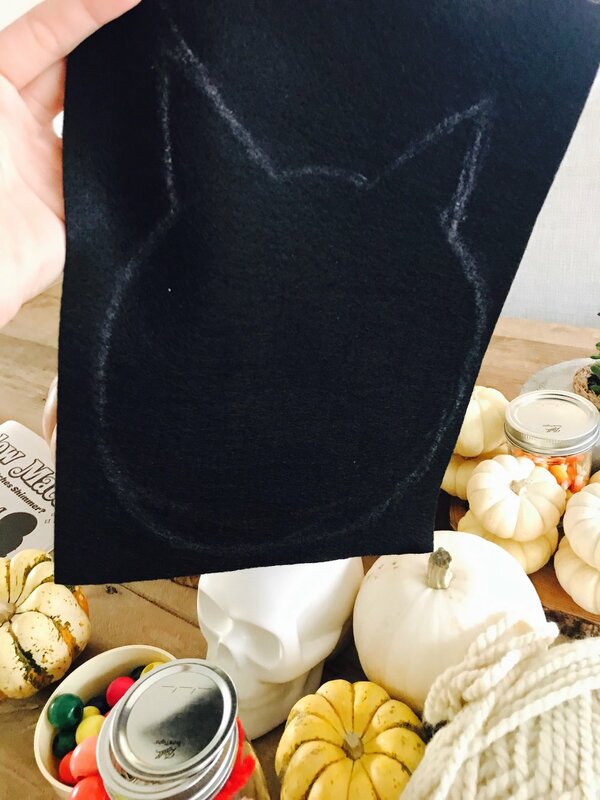 DRAW IT ON THE FELT WITH CHALK. 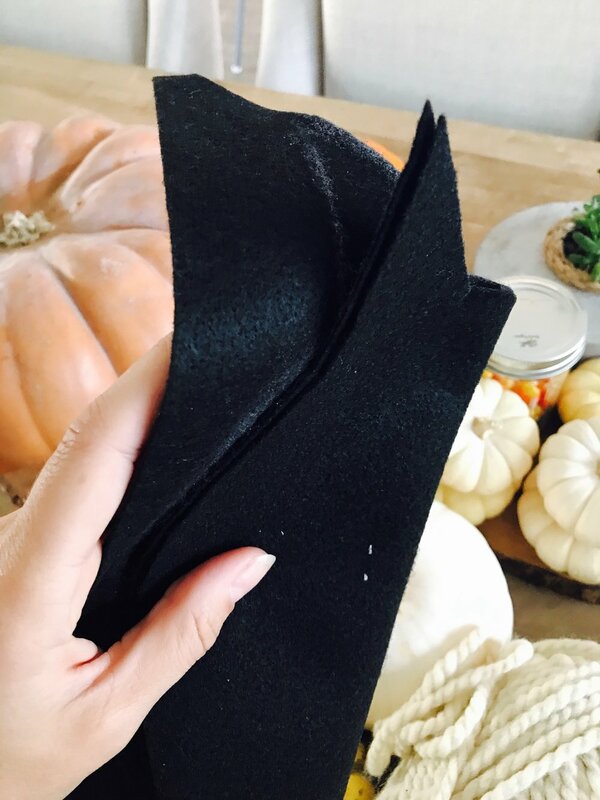 STACK TWO PIECES OF BLACK FELT TOGETHER, AND CUT AROUND HALF OF YOUR PATTERN. THEN FOLD ONTO ITSELF AND CUT OUT THE REST. THIS KEEPS BOTH SIDES SYMMETRICAL. YOU WILL END UP WITH TWO PIECES FOR THE BAT'S HEAD/BODY THAT ARE EXACTLY THE SAME. CREATE A SIMILAR SHAPE...FOR THE EYES...AND CUT. JUST NEED ONE OF THESE! DECIDE WHERE YOU WANT THE BAT EYES. 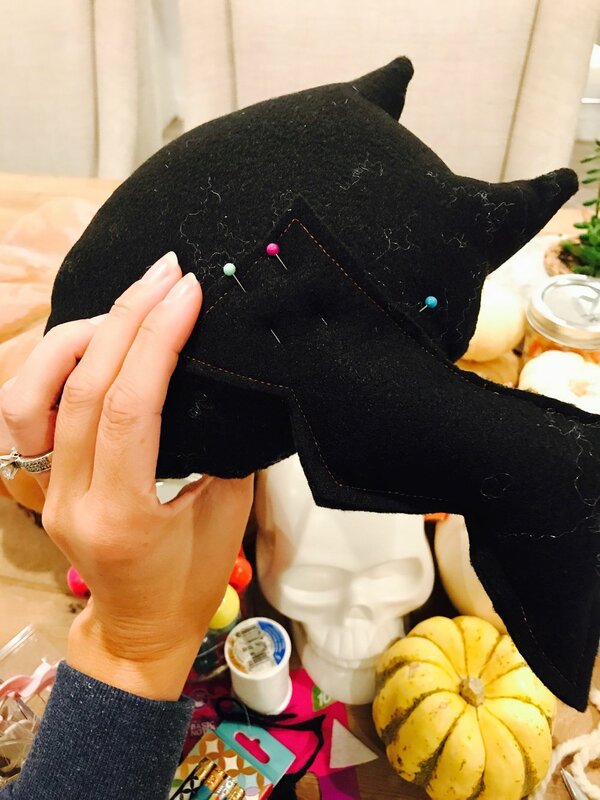 PIN THEM ONTO *ONE* SIDE OF THE BAT HEAD/BODY. 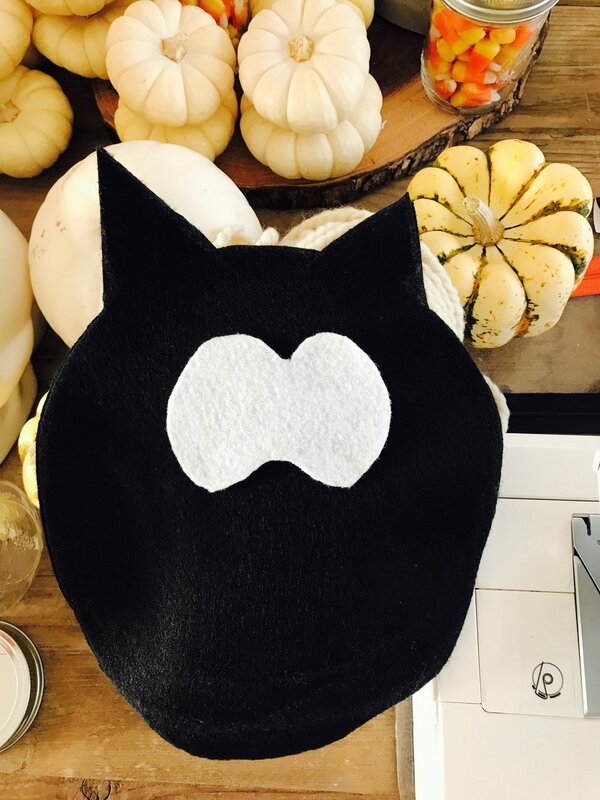 YOU WILL SEW THE EYES ONTO THE BAT FIRST. 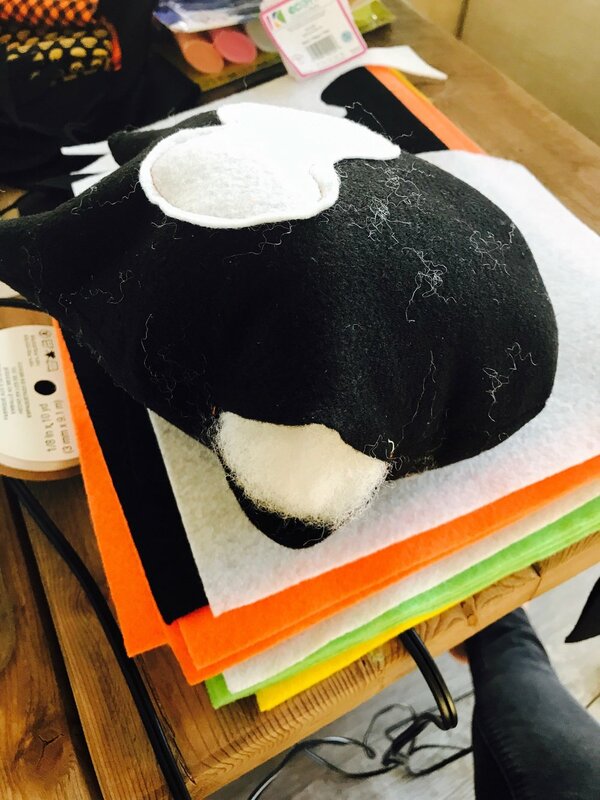 SEW THE EYES ONTO THE BAT HEAD/BODY. STAY KINDA CLOSE TO THE EDGE -- EASY BREEZY! HERE'S WHAT IT LOOKS LIKE! CLOVER LIKES IT TOO! REMEMBER...DON'T SEW ALL THE WAY AROUND! LEAVE ABOUT 2 INCHES SO YOU CAN TURN IT RIGHT-SIDE-OUT AND STUFF IT WITH FLUFFY FILLING! CAREFULLY, TURN THE HEAD/BODY OF THE BAT RIGHT-SIDE-OUT. TAKE YOUR TIME AND USE THE ERASER SIDE OF A PENCIL TO HELP YOU REGAIN THE SHAPE TO THE POINTY EARS! YOUR BAT SHOULD LOOK SIMILAR TO THIS! MAYBE A LITTLE LESS STUFFING! GET READY TO PIN THIS PUPPY CLOSED! PIN THE 2 INCH OPENING AND HAND-STITCH IT CLOSED. MAKE SURE YOU REALLY SECURE THIS STITCHING -- YOU DON'T WANT YOUR BAT POPPING OPEN! 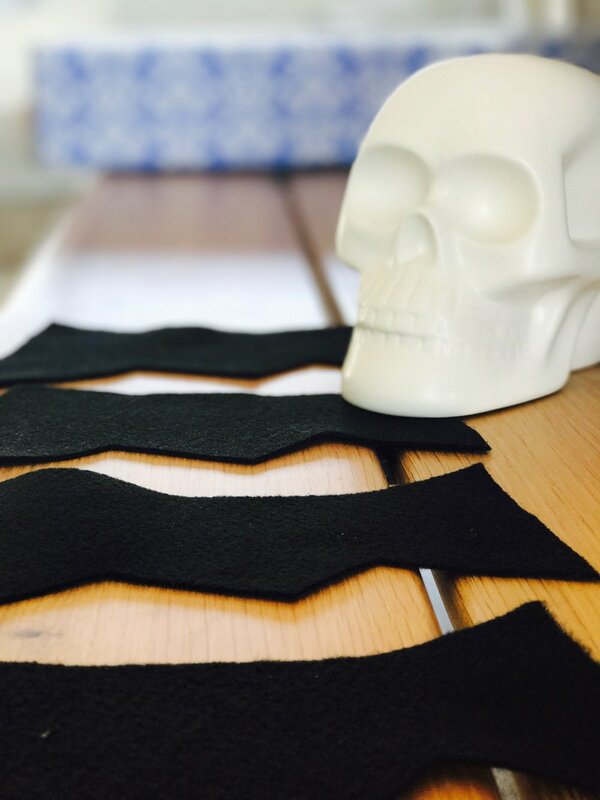 TIME TO SEW YOUR WINGS! I KEPT THE STITCHED SIDE EXPOSED BECAUSE IT GIVES THE WINGS THEIR GREAT SHAPE! LEAVE A 2 INCH GAP AND GET READY TO STUFF! ONLY STUFF YOUR WINGS HALF WAY. BASICALLY, FROM MY POINTER FINGER TO THE RIGHT IS STUFFED. THE REST, IF UNSTUFFED, BECAUSE YOU WILL BE HAND-STITCHING THAT PART ONTO THE BACKSIDE OF THE BAT. PIN YOUR WINGS TO THE BACKSIDE OF THE BAT. AND HAND-STITCH. YOU DON'T WANT THE WINGS FLOPPING AROUND TOO MUCH, SO I SUGGEST SEWING AROUND THE WING UNTIL IT IS SECURELY ATTACHED TO THE BODY. ONE IS DONE - NOW STITCH THE SECOND WING ONTO THE BAT'S BACKSIDE. HERE'S WHAT IT SHOULD LOOK LIKE! NOTICE THAT THE WINGS ARE PROPORTIONAL TO THE SIZE OF THE BODY! KEEP THAT IN MIND WHEN YOU CREATE YOUR PATTERN. CUT OUT TWO BLACK OVALS FOR THE EYES AND TWO WHITE TRIANGLES FOR THE FANGS! PIN THEM IN PLACE, AND STITCH THEM DOWN. YOU ONLY NEED A FEW STITCHES! AND THERE YOU GO! AN ADORABLE, PLUSH PILLOW! A ONE-OF-A-KIND, DIY, WORK OF ART! CLOVER LOVES IT! HER LITTLE HALLOWEEN CUDDLE!